English Derby winner Harzand added a second Classic to his record when he won the Group 1 Irish Derby at the Curragh in Ireland overnight. The son of Sea The Stars provided his trainer Dermot Weld with a first English Derby triumph earlier this month when he comfortably had the measure of Aidan O’Brien’s Idaho, but had to dig deep this time to beat the same horse by a half-length. 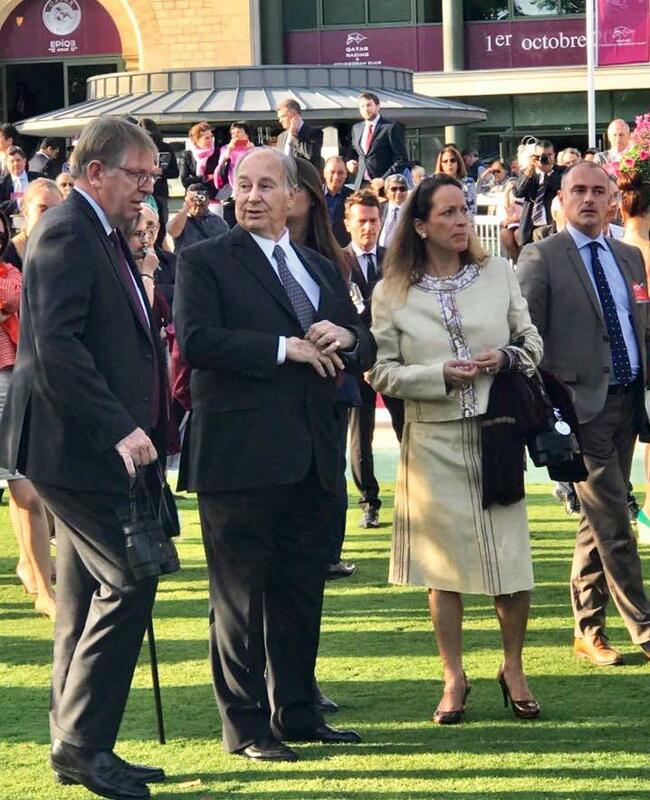 Weld described Harzand’s performance to complete the English-Irish Derby double and provide him with a third Irish derby success as one of the most satisfying achievements in his career and said the obvious target for the horse now was the Arc de Triomphe in October. “It was a very special day,” Weld said. 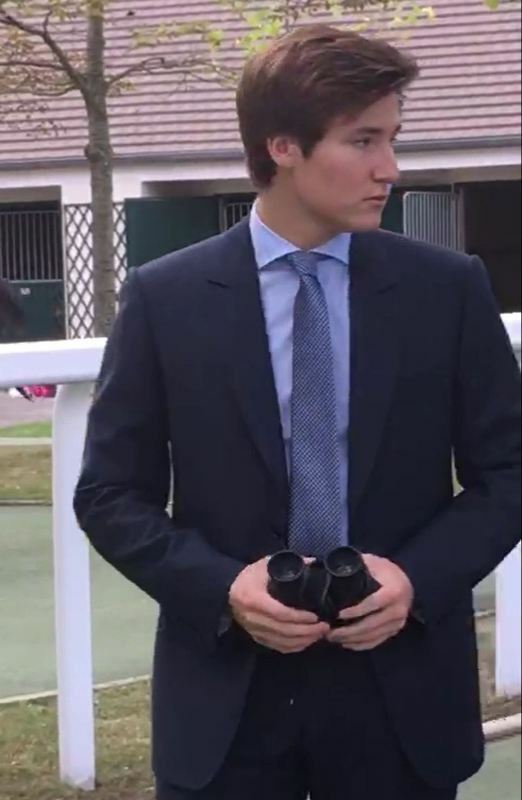 “This was a better race than at Epsom because both those horses have improved from Epsom and it’s typical of three-year-old colts at this time of the year, the really good ones tend to just get better and better and those two horse quickened all the way down the straight in really good fashion. “We’ve had a lot of minor problems with this horse’s foot. 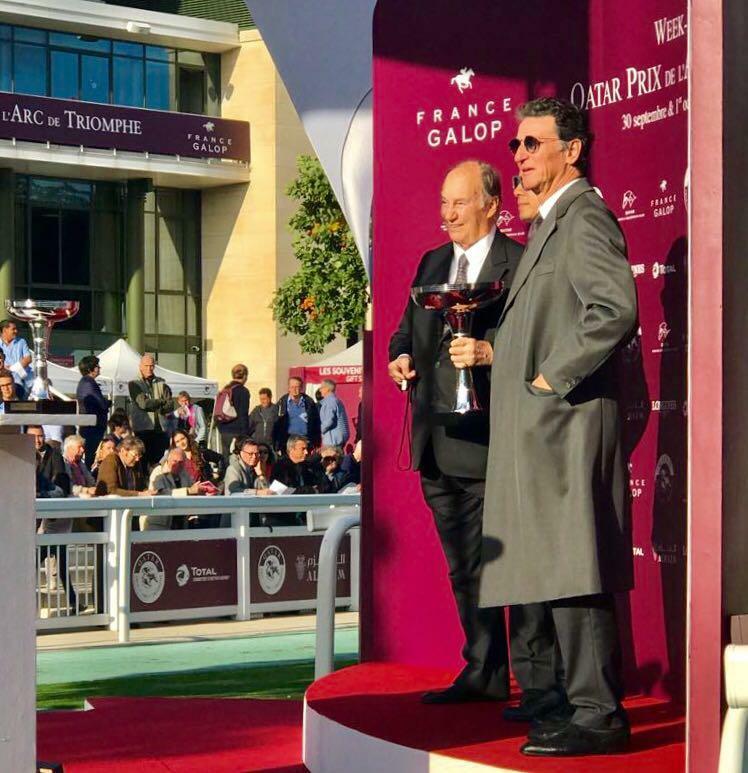 “He had to go on a course of antibiotics the week after his last race and you never know how much that was going to take out of him but we were happy with his blood picture and his general appearance and today was his day. Outsider Stellar Mass finished third behind Harzand and Idaho, narrowly holding off Ed Dunlop’s late-entry Red Verdon in fourth. 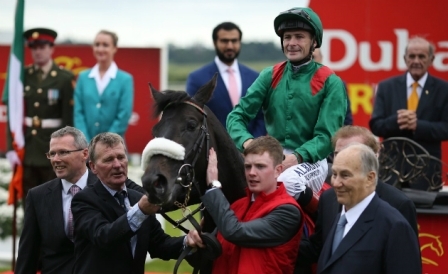 Jockey Pat Smullen praised the performance of Harzand to fight off the challenge of Idaho and his jockey Ryan Moore. “Ryan made his challenge with one run but my horse found again in the last 150 yards,” Smullen said. 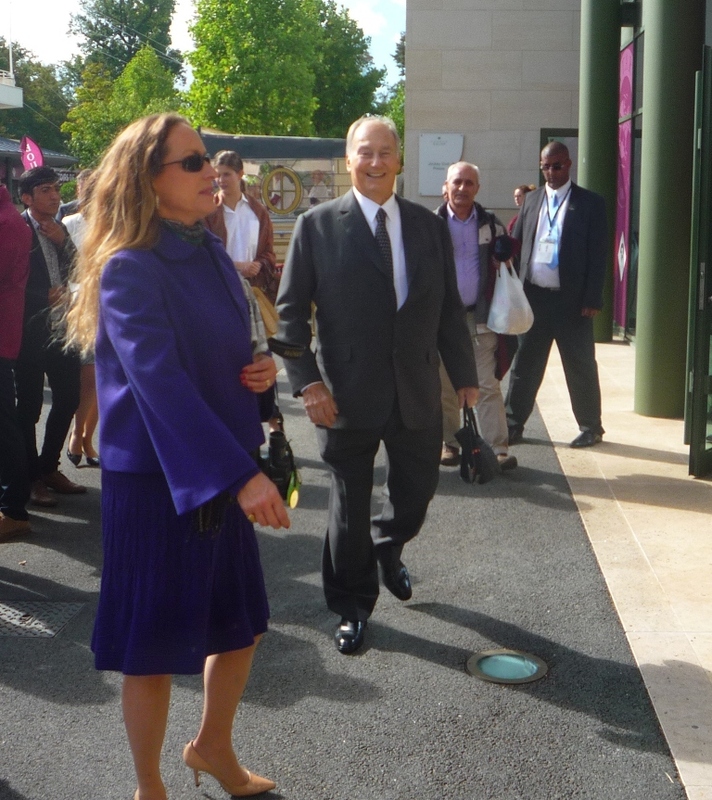 HH The Agakhan is a owner of few prestigous stud farms which breeds and trains Thoroughbred horses. 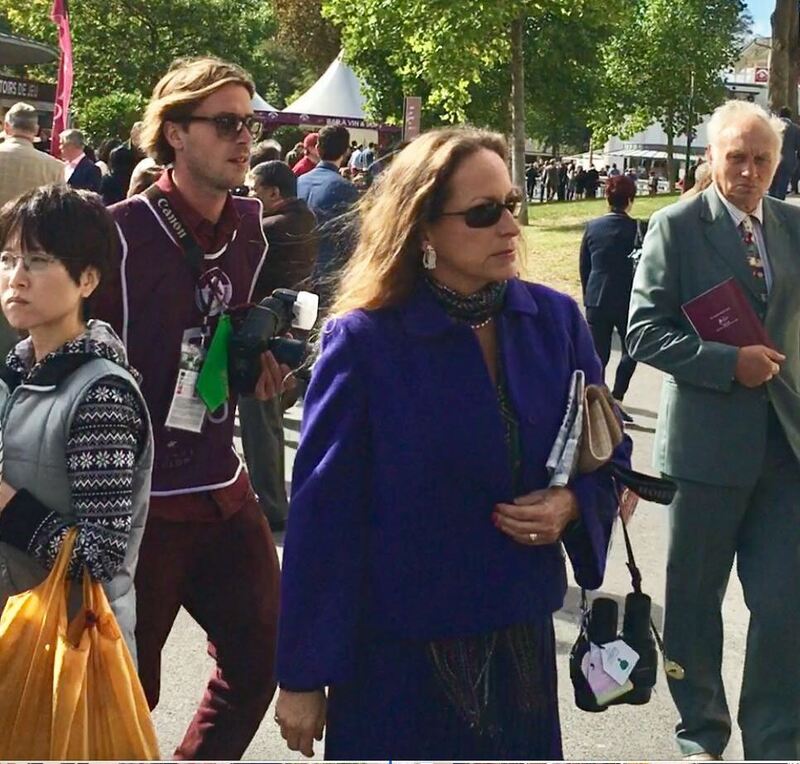 So horses under the banner of the stud farm and owner colours worn by rider do participate in races worldwide. So the title of 'Horse racing' give very narrow definition and some ignorant may relate it to word gambling. I feel a suitable title can be 'THOROUGHBRED HORSE BREEDING". and by default horse racing become a sub part of it and the word gambling has NO near co relation to this word and title. Responsibility must comes along with Love for ALI. Harzand completed the English-Irish Derby double when taking the Dubai Duty Free-sponsored Classic at the Curragh as the 4-6 favourite. 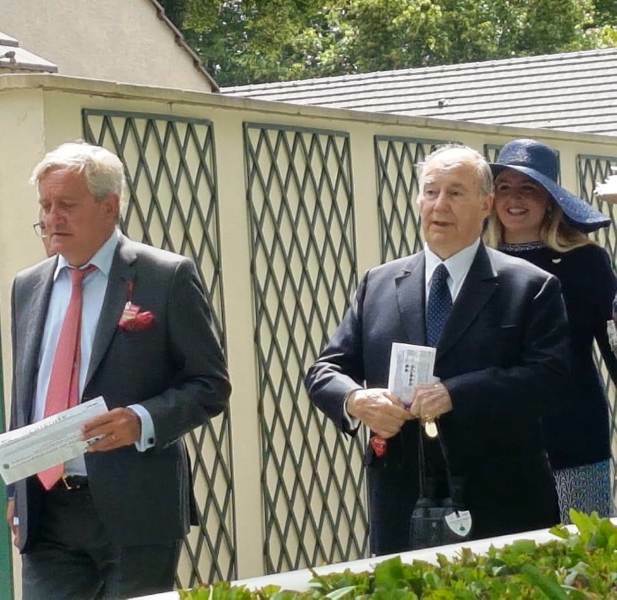 The Aga Khan-owned colt had to overcome a morning injury scare on the way to Epsom glory earlier this month, but had no such problem with the short trip from his trainer Dermot Weld's stable at Headquarters. 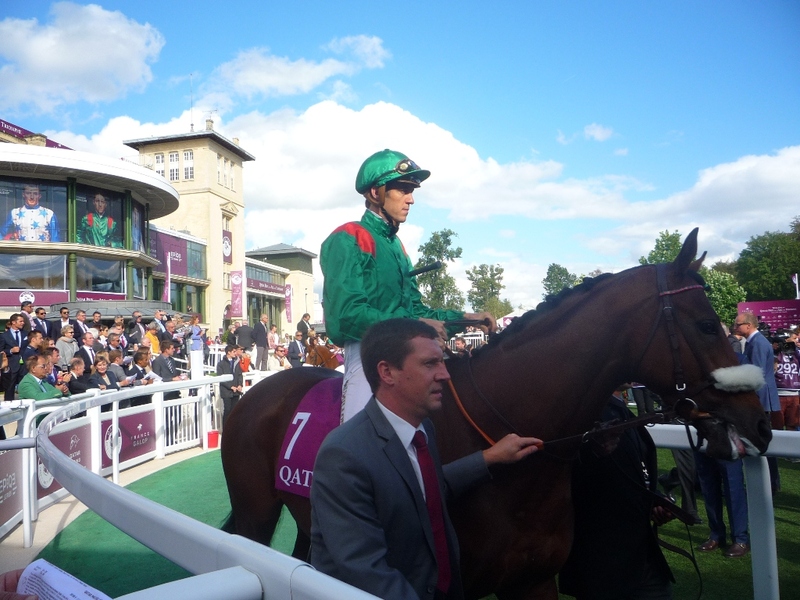 In the race itself, however, Harzand had to show all the qualities of a top-class thoroughbred as his old rival Idaho did not go down without a fight. The leading pair pulled clear in the final quarter-mile, with Harzand asserting close home in the hands of Pat Smullen to win by half a length. Stellar Mass was three-and-a-quarter lengths away in third and Ed Dunlop's British raider, the supplemented Red Verdon, just behind in fourth after putting in good late work. Harzand's pacemaking stablemate Ebediyin did his job to ensure a good gallop and was allowed an easy lead. Idaho's stable companion Port Douglas followed him in second place, with Harzand hard on their heels. Smullen decided to use Harzand's stamina to the full by taking the lead as soon as they turned for home. 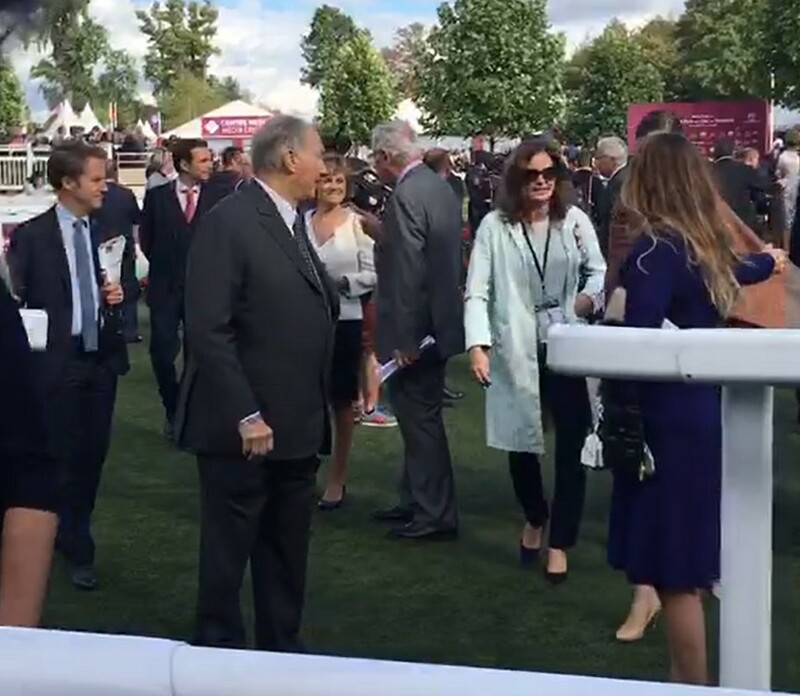 But the Aidan O'Brien-trained Idaho, who had finished third behind Harzand at Epsom, soon ranged alongside under Ryan Moore and a thrilling duel ensued. 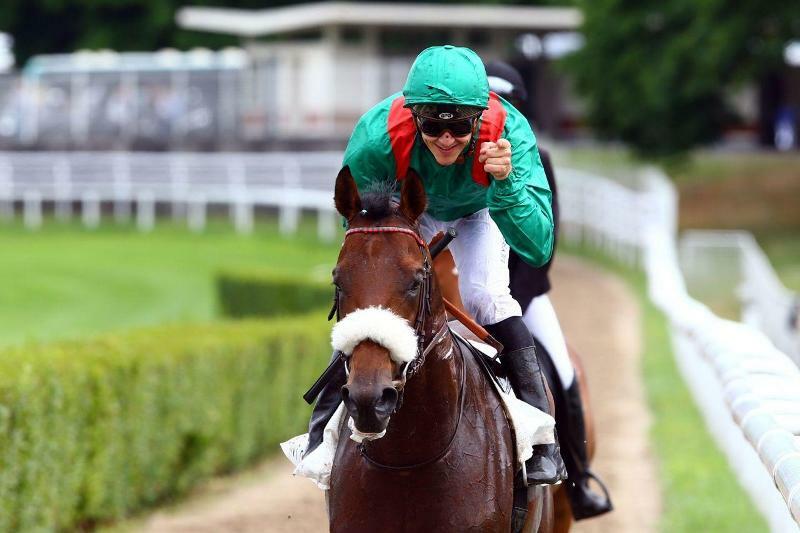 The two protagonists quickly put daylight between their rivals and there was nothing between them until Harzand proved the stronger close home to become the 18th horse to complete the Derby double. Harzand is the fifth horse to win both the English and Irish Derbies for the Aga Khan after Shergar (1981), Shahrastani (1986), Kahyasi (1989) and Sinndar (2000). It was Weld's third win in the Irish Derby after previous triumphs for Zagreb in 1996 and Grey Swallow in 2004, and a second for Smullen after riding the latter. 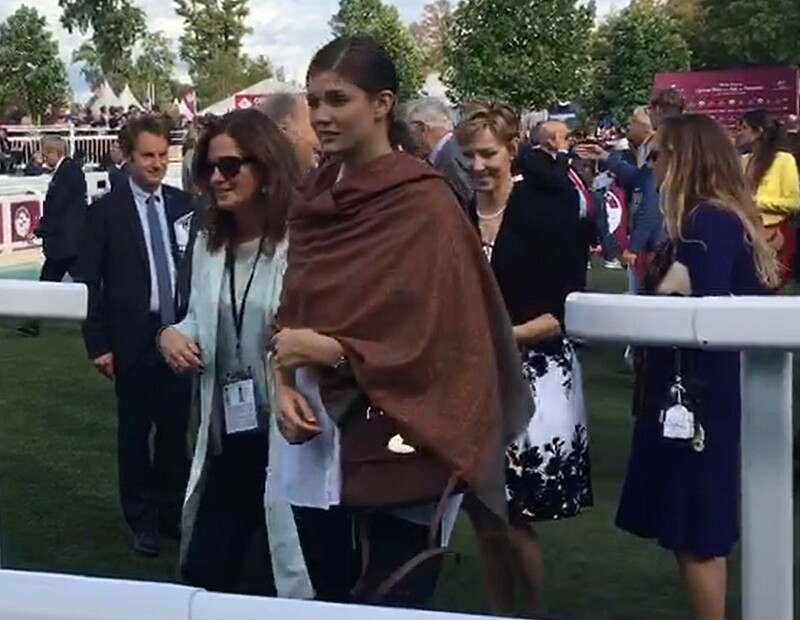 "I knew Aidan would have his horse better than at Epsom so I knew our horse had to be better than at Epsom to win again," said the Rosewell House handler. "He ran a magnificent race. He showed the speed that he has today. People were saying he didn't have speed, well you saw it today. "Those two horses really picked up and quickened. Idaho is a high-class horse, he's always been that and he was at his best today. It was a great day, a great ride - a special day. It was a proper horse race. 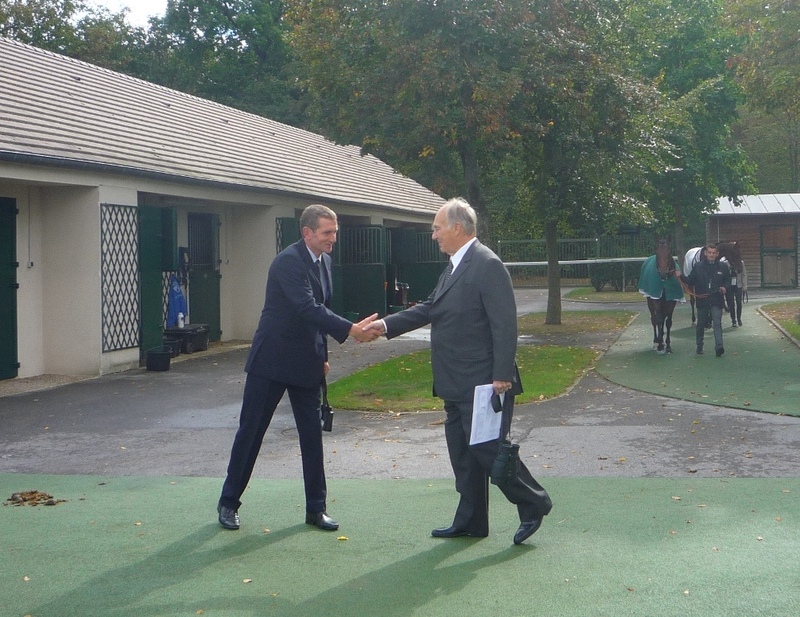 "He'll have a good break now and we'll train him for the Arc." Weld had been somewhat guarded on his chance at the beginning of the week and added: "I was concerned because he had a very hard race at Epsom. We always knew he was very tough, but he had to be 110% today. "This is a very, very special race and I've been enjoying it since I was a child. I've been fortunate enough to win it three times now." 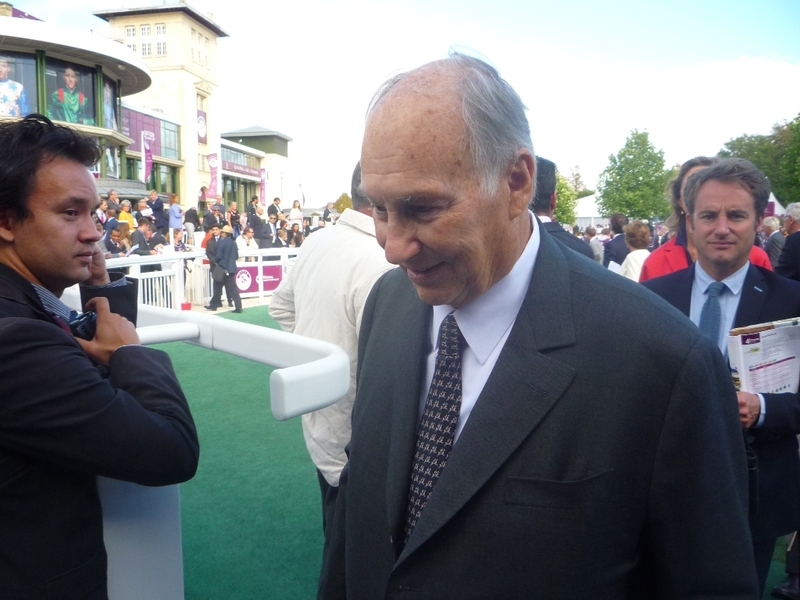 The Aga Khan said: "This horse is very good. It's a wonderful family and we checked him with all our mares and he'll mate very well with them, so we're looking forward to when he goes to stud and we'll be right behind him. "Things are shaping up very well. I'm not sure we really know his limits. 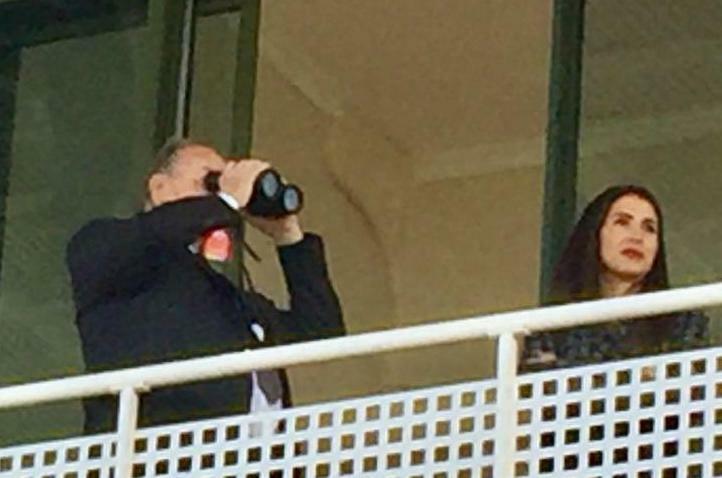 Neither at Epsom nor here, I don't think we've seen the best of this horse, he can do more." 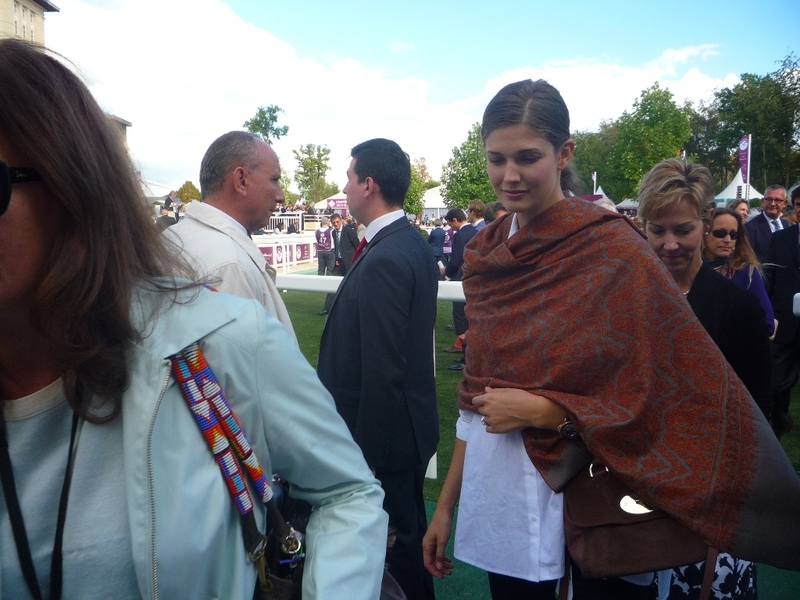 Smullen said: "He's such a great horse, he's got such courage and determination. Ryan came with one good determined run, I needed this horse to dig deep for me and he did - how good is he? "I don't think I've ever ridden such a courageous horse. I just can't get over his courage in the last half-furlong. "This matches Epsom, in front of our home crowd. The pressure was on and we pulled it off. He's a dual Derby winner now. "You can give horses good rides, bad rides - but when they're as good as this lad and they're as determined as this horse it just makes it easy. There's no knowing where this horse will end up. "He's so tough and he's not just tough, he's got pace. 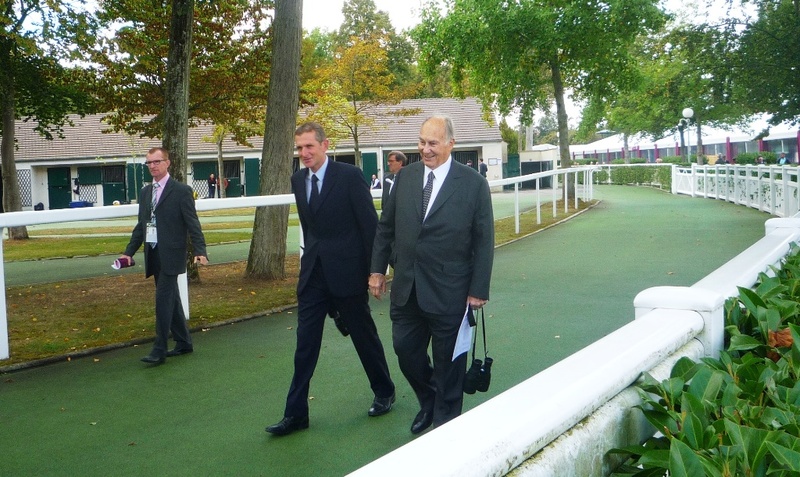 He's a very, very good horse and I'd love to think he'd be an Arc horse." 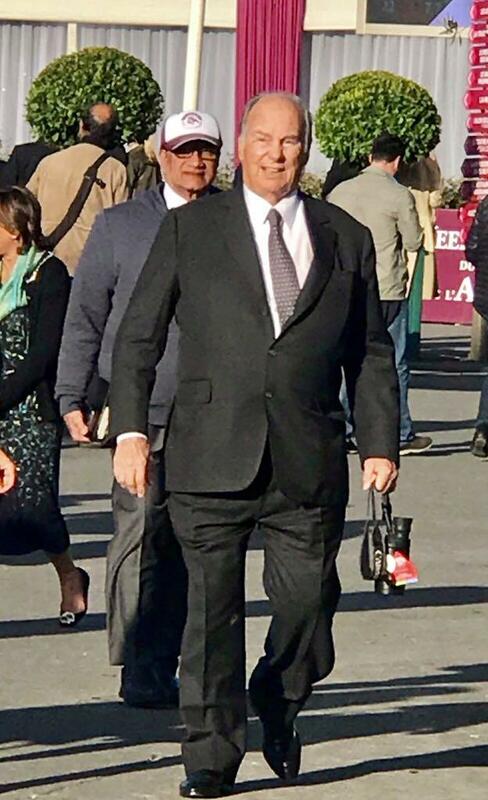 Le président du conseil départemental de l'Orne, à la tête de l’établissement public du Pin, a invité le prince Aga Khan, descendant du prophète Mahomet, dans son comité stratégique. Et il conforte Sophie Lemaire à la direction du domaine. 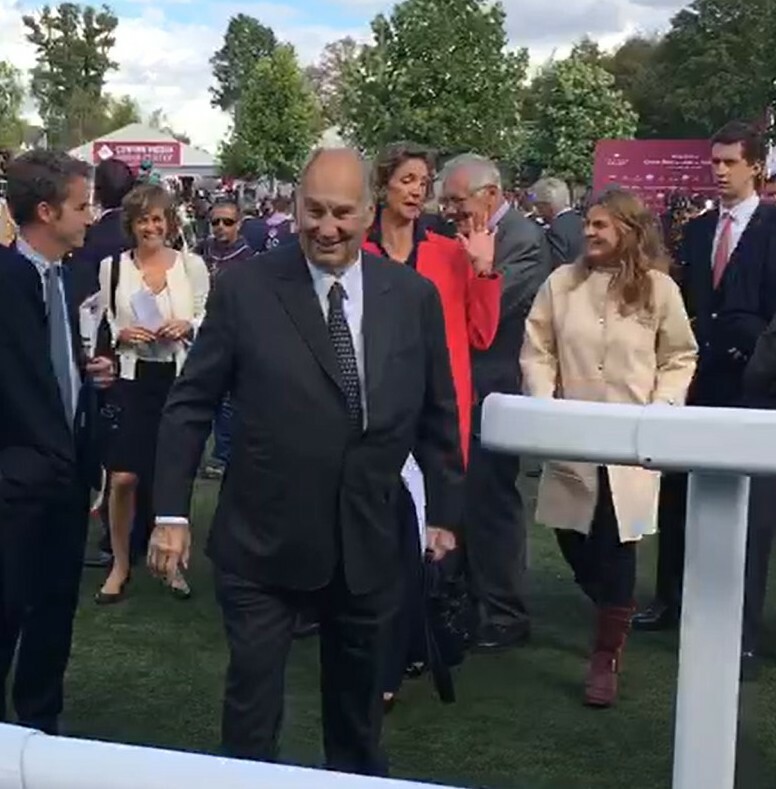 Alain Lambert, président du conseil départemental de l’Orne, président de l’établissement public administratif du haras du Pin, vient de nommer Sophie Lemaire, qui était la précédente directrice, à la direction du haras du Pin. « J’ai demandé à Stéphane Le Foll, le ministre de l’Agriculture, de me proposer son nom, auquel le conseil a donné un avis favorable à l’unanimité&#8201;: je l’ai nommée dans la foulée. Elle n’était pas candidate à ce poste, mais je lui ai dit qu’elle avait, en quelque sorte, un devoir d’État&#8201;! », indique Alain Lambert. 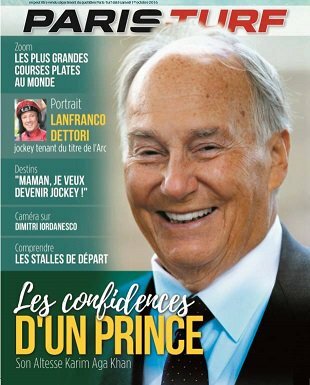 Alain Lambert souhaite créer un comité stratégique composé de personnes compétentes dans le domaine du cheval, pour recueillir leur avis. 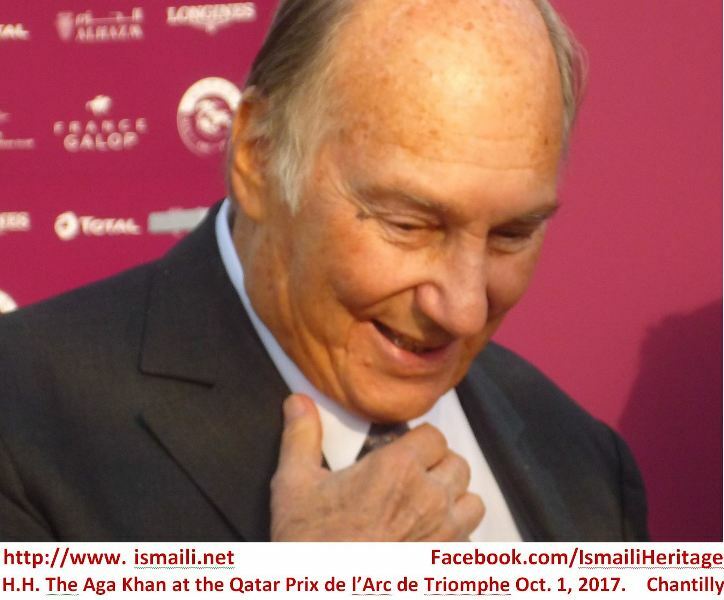 Parmi les personnalités approchées, il cite le prince Aga Khan. Il espère que le chef spirituel des Ismaéliens et descendant direct du prophète Mahomet, qui a créé et préside la fondation pour la sauvegarde et le développement du domaine de Chantilly, acceptera de présider ce comité stratégique. Des fonds privés au Pin&#8201;? « Et des activités privées. Je souhaite que des professionnels de différentes disciplines équestres s’installent au Pin et les y développent. Il faut que toute la filière cheval se sente concernée. Évidemment, l’ouverture à des initiatives privées va nous confronter à un nouvel Himalaya juridique, notamment à cause du code des marchés publics. 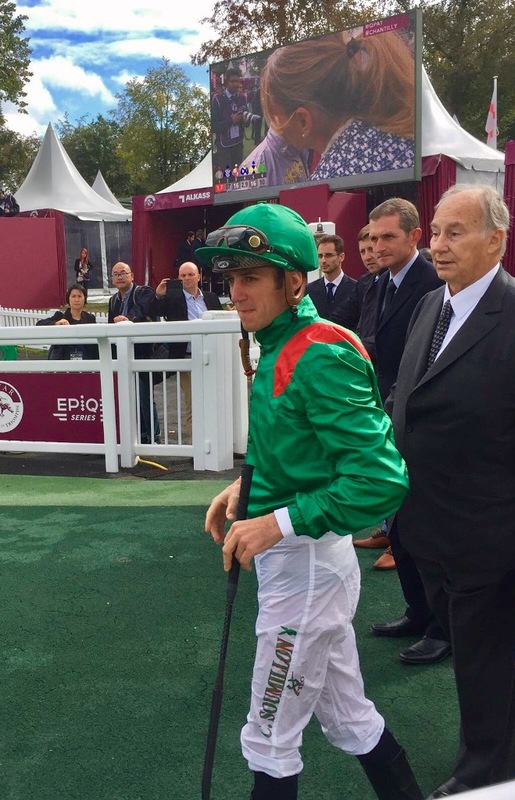 When Harzand came roaring down the Epsom track in the Derby back in June, he ended a 16 year long wait for the Aga Khan to recapture this esteemed prize. Nothing ever appears to be straightforward with this dual Derby winner, his participation only hours before the Derby was thrown up into the air due to a foot injury but this brave battle hardened colt was patched up and the rest, as they say, is history. He then duly went on to win the Irish Derby, again battling to victory, but lost his unbeaten run when he finished down the field in the Irish Champion Stakes last month, although one can excuse that run as he was struck into, which resulted in injury and that led to another 'will he or won't he' scenario. 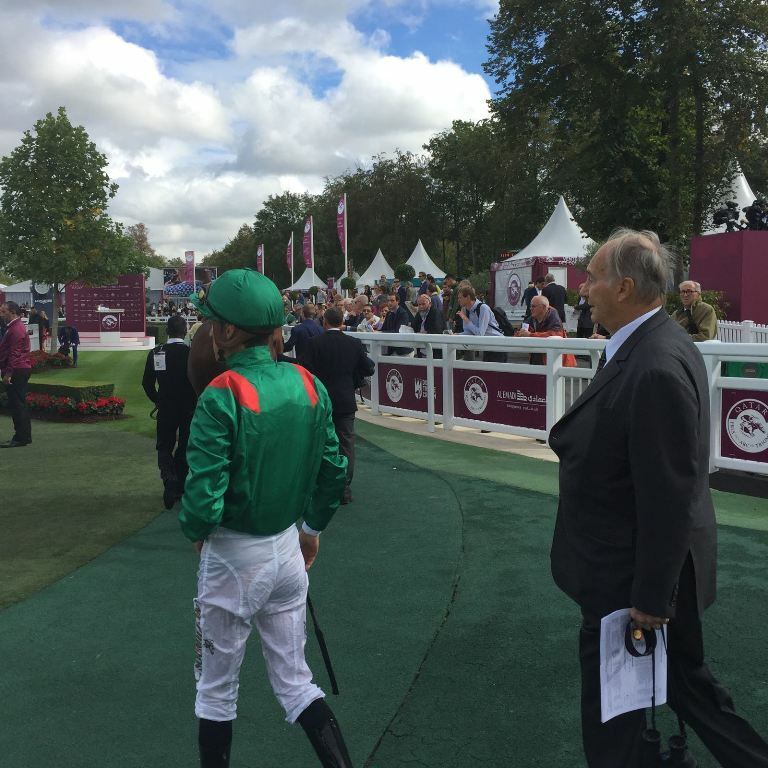 We know now, Harzand will definitely run at Chantilly on Sunday and any concerns or issues anyone has about the ground, fitness or the draw can be stored safely away as everything appears to be in order, even the heavens have opened up at Chantilly as I write, which will be music to Harzand's ears! There's no denying the fact that this Sea The Stars colt will give another good account of himself in the Arc on Sunday, and his pacemaker Vedevani will ensure a true run race. Yes, he will have to face some seasoned individuals that are perhaps are little more talented than himself but the beauty of this colt is his robust character, he never knows when to give up, has a heart and courage of a lion, couple that with his ability to stay calm and switch off during the race and you have colt that can overcome any amount of obstacles. All of which should stand him in good stead as he aims to end his owner's barren spell in this event. And lets face it, its well overdue! Some photos - scroll up. 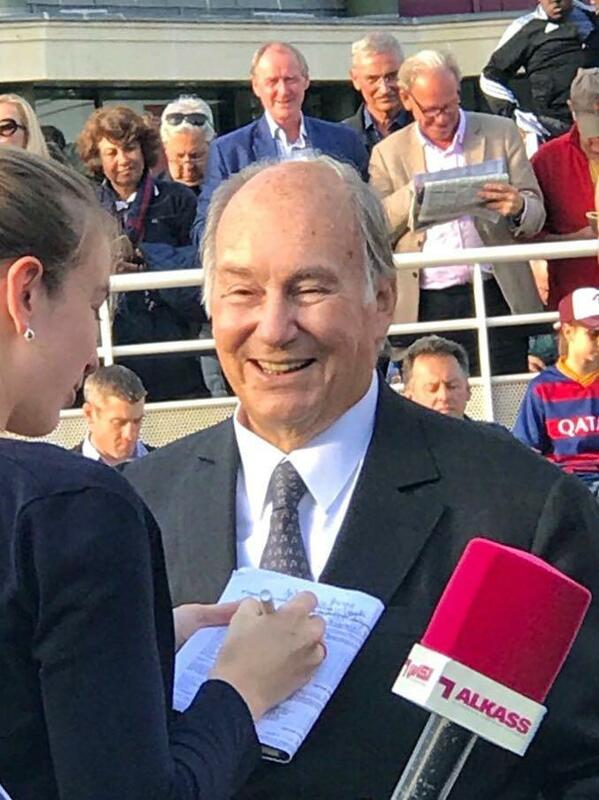 Here below are links to two videos of His Highness The Aga Khan, in Chantilly at the Arc de Triomphe event on 1st October 2016. H.H. 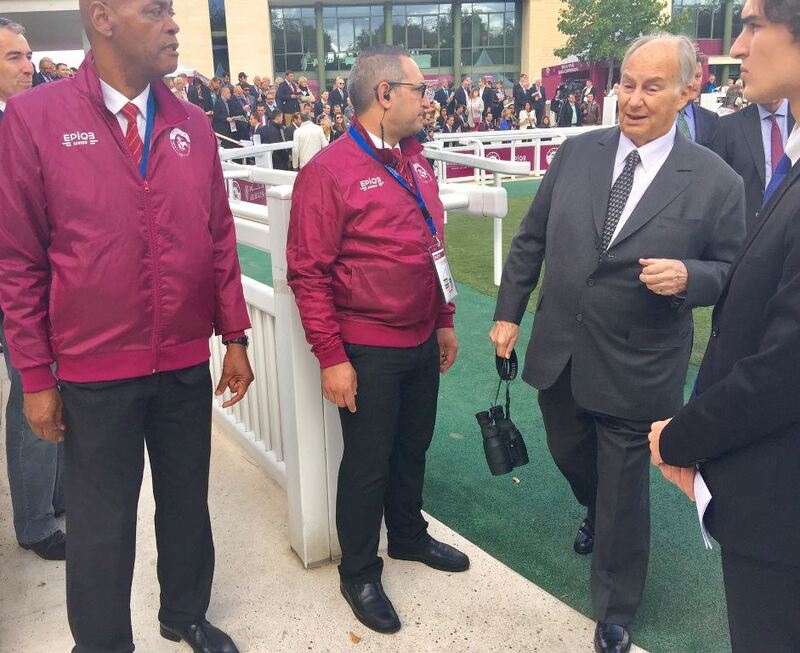 The Aga Khan and members of his family attended the Sunday 2nd October 2016 event of the mot important horse race of Arc de Triomphe in Chantilly, Paris. With Mowlana Hazar Imam, Prince Amyn, Princess Zahra, Prince Amyn Muhammad, Princess Salwa. 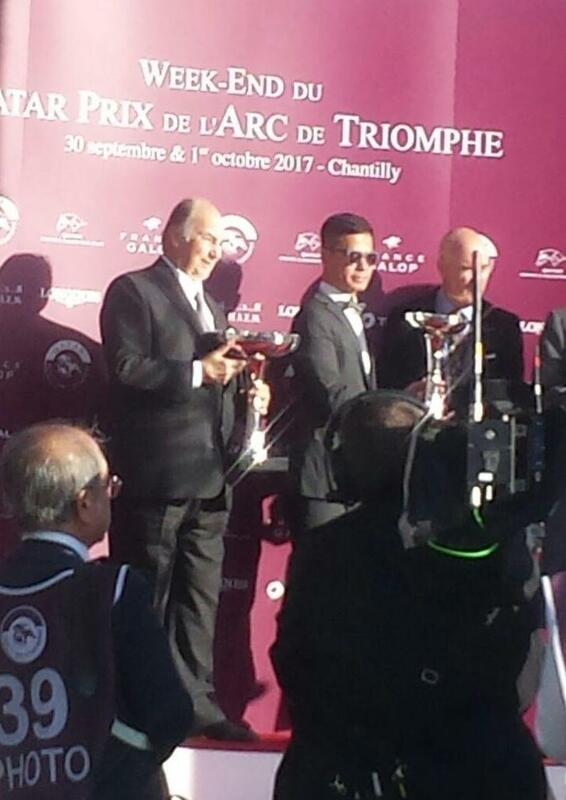 More photos of The Arc de Triomphe horse race on 1st and 2nd October 2016. H.H. 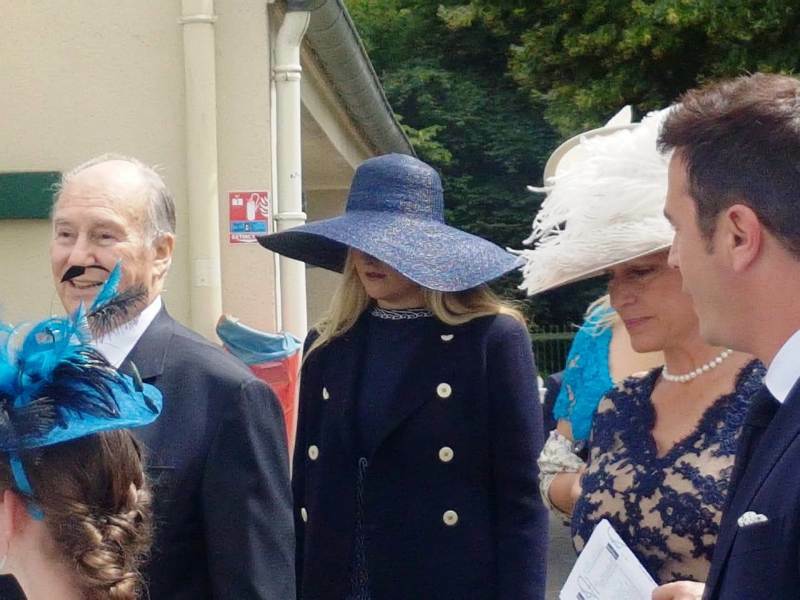 The Aga Khan attended with his brother Prince Amyn Muhammad, daughter Princess Zahra, Princess Salwa, Prince Aly Muhammad. Video of H.H. 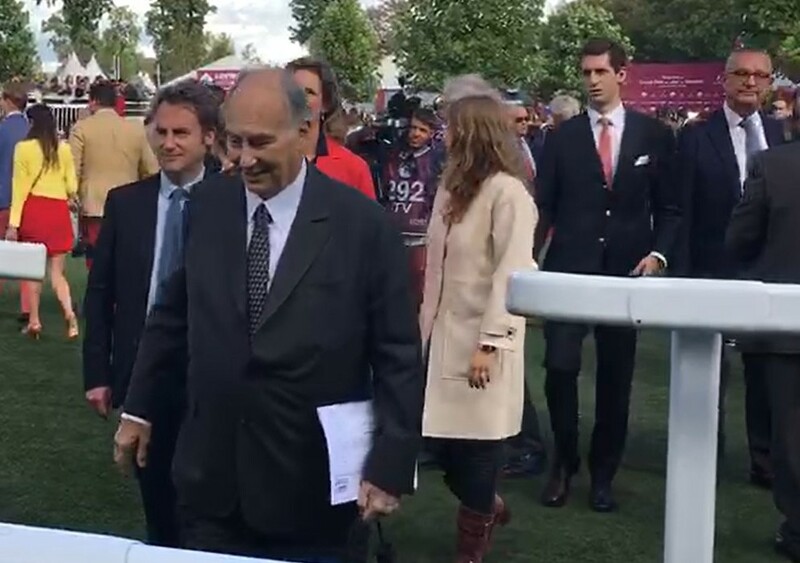 The Aga Khan and Prince Aly Muhammad at the Prix de l'Arc de Triomphe 2016 at Chantilly in Paris, France. 2 October 2016 - All videos are around 10 sec each. 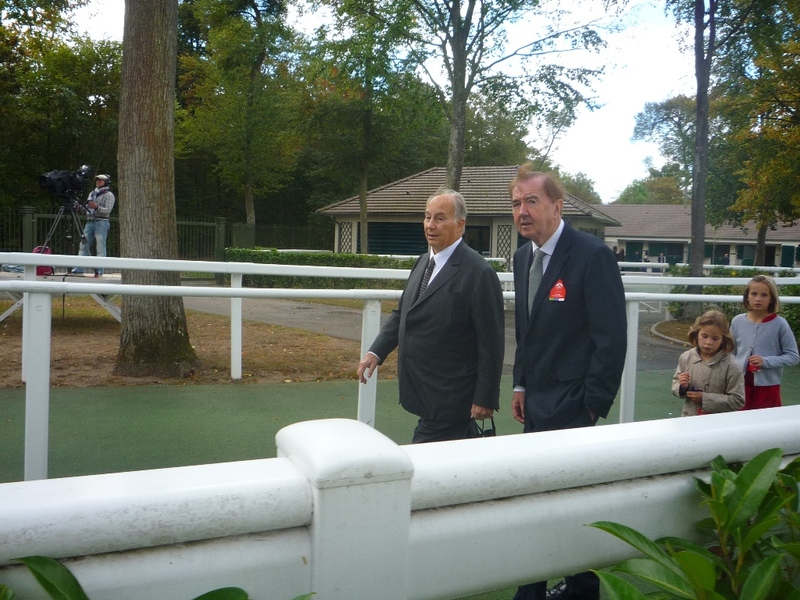 Click here for Video of Prince Amyn Aga Khan at the race. Click below for Noorani Family leaving the event at the end of he day. Here in this 10 sec. clip (20MB) you will see Mowlana Hazar Imam, Prince Aly Muhammad, Princess Salwa, Princess Zahra and her daughter. 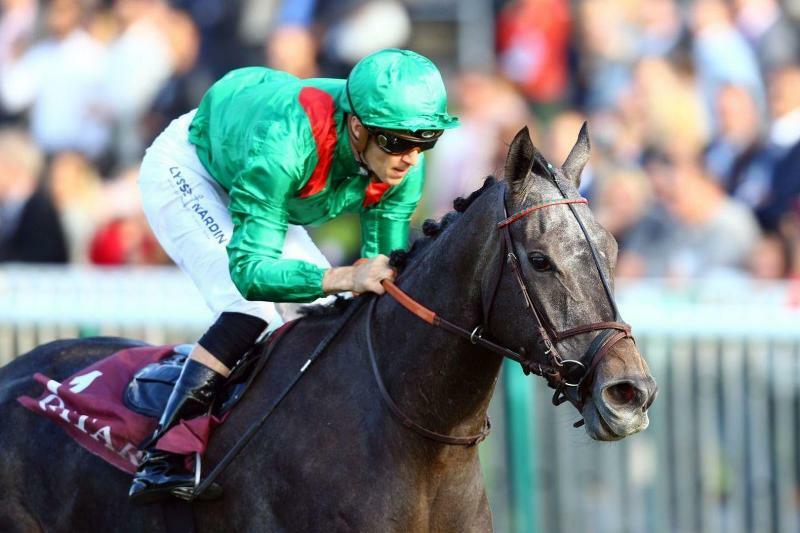 The news from World Cup day in Dubai, where Vazirabad landed the big staying event for the second year in a row. P Zahra's horse racing against Bapa's Horse. Who won yesterday ? 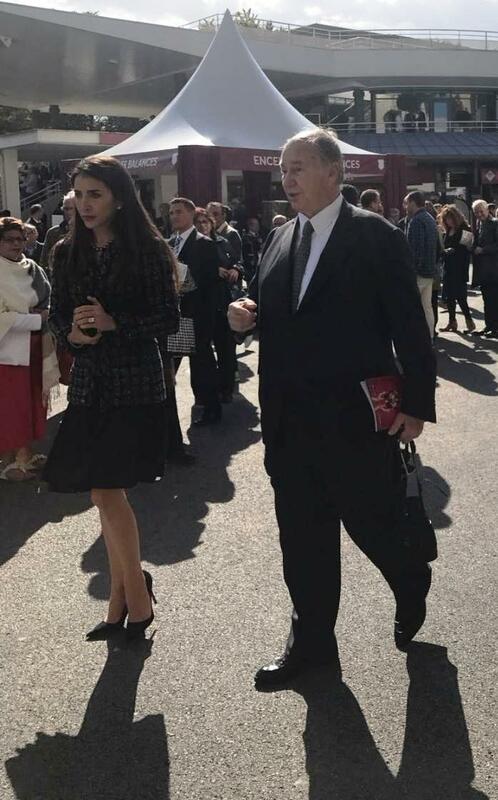 Princess Salwa Aga Khan seen with Mowlana Hazar Imam. H.H. 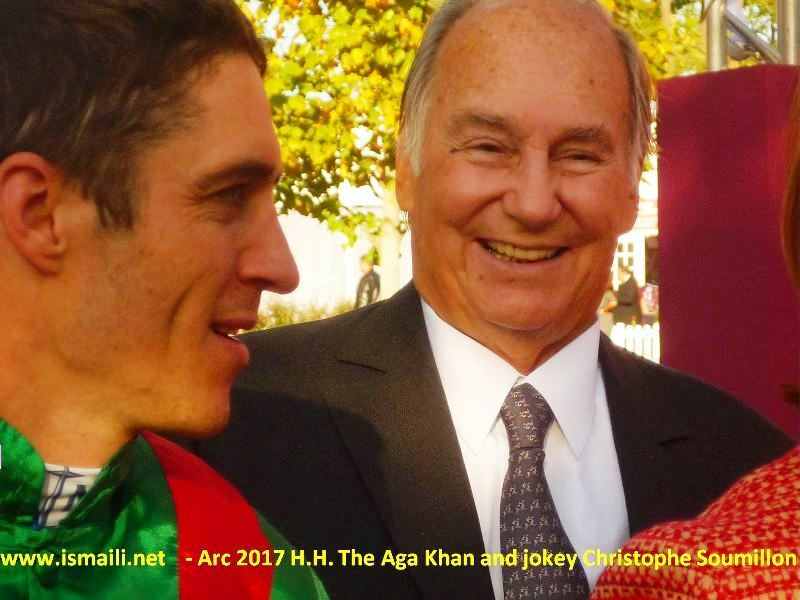 The Aga Khan and Belgium Jockey Christophe Soumillion on 1st October 2017 at the Qatar Prix de l'Arc de Triomphe. 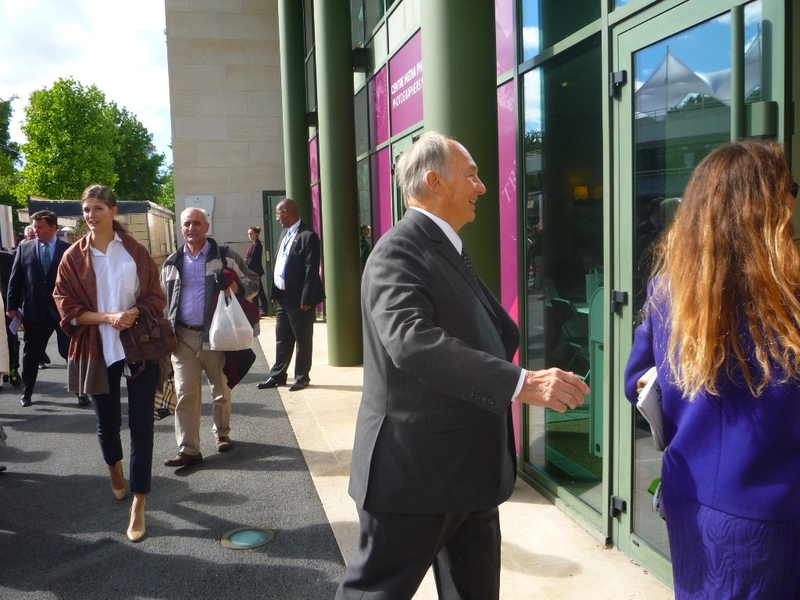 Photo by ismaili.net Staff. (CNN) - Queen Elizabeth II has won over £6.7 million ($8.8m) from horse racing prize money in the past three decades, new figures from the British Horse Racing Authority show. The Queen's thoroughbreds have chalked up 451 victories from 2,815 runs since 1988 when records became readily available, giving her a win percentage of 15.9 percent. 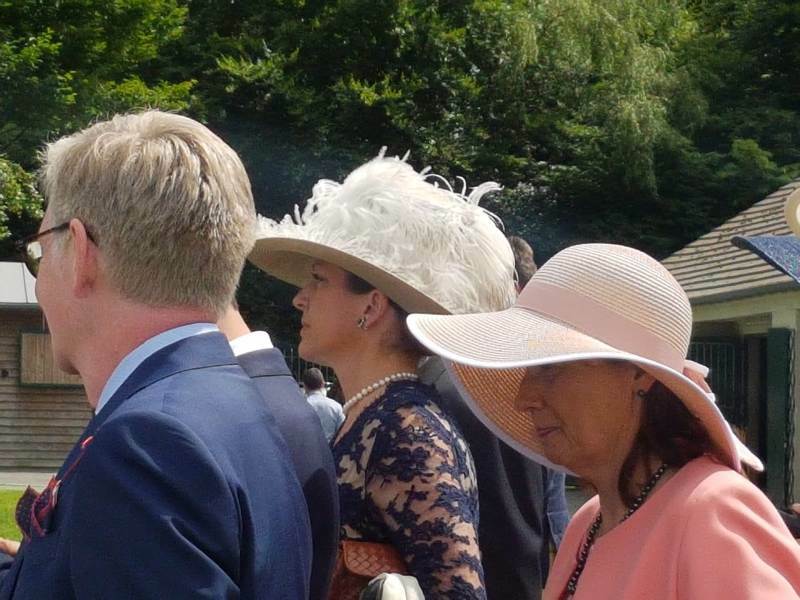 Last year was the monarch's most profitable in recent decades, with her horses earning £557,650 ($731,413). And 2017 has proved a similarly good year, with 20 victories on the flat bringing in £413,641 ($542,531) so far. 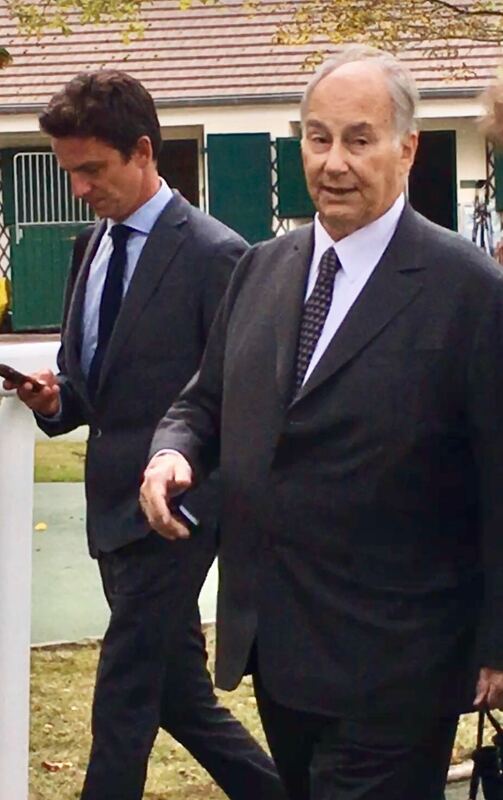 All in all, it makes the 91-year-old the 11th most successful owner in flat racing in that thirty-year period. Elizabeth II was given a Shetland pony aged four and has had a keen interest in horses from an early age. As the Queen grew older she became an accomplished rider, often attending official ceremonies on horseback. She inherited several of her finest thoroughbreds following the death of her father, King George VI, in 1952. And she was named British flat racing Champion Owner in 1954 and 1957. 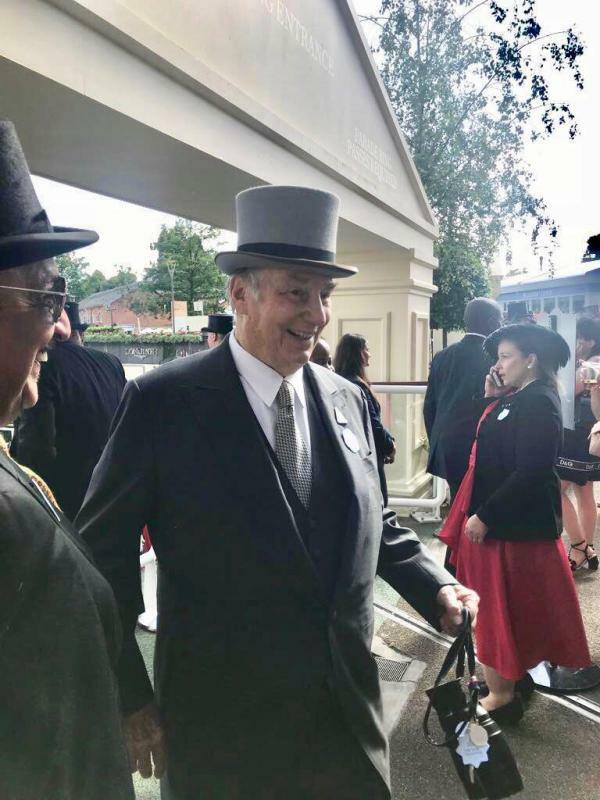 With victories at the St. Leger Stakes, Epsom Oaks, 1,000 Guineas and 2,000 Guineas, the only one of the five British Classic Races that eludes her is the Epsom Derby. The BHA Owners Championship -- awarded to the owner who has won the most prize-money on Britain's turf and all-weather tracks throughout the season -- is currently topped by Godolphin, whose leading earner is Irish bay colt Ribchester. 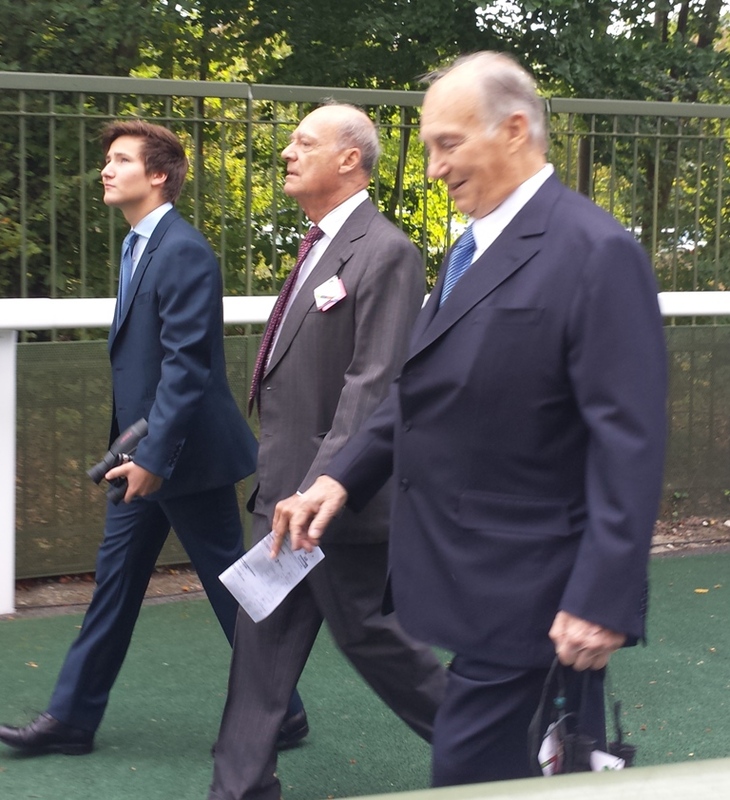 The Queen's best runner this season is Dartmouth, trained by Sir Michael Stoute. Buckingham Palace did not immediately respond to CNN's request for comment on this story. H.H. 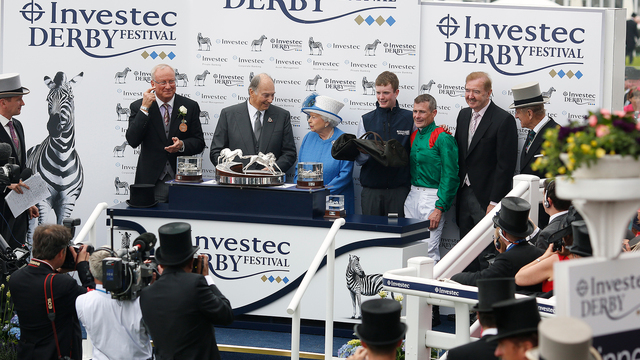 The Aga Khan's horse Hazapour in the Investec Derby at Epsom on Saturday. 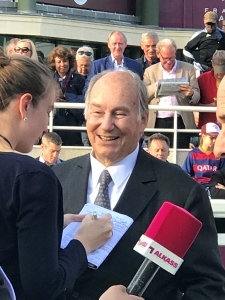 The Aga Khan with Shergar after the Irish Sweeps Derby. The kidnapping of the Derby winner Shergar was the work of the Provisional IRA, a former figure in the organisation has claimed. The mystery of the disappearance of what was then the most valuable racehorse in the world is the subject of a new BBC documentary Searching for Shergar by presenter Alison Millar. 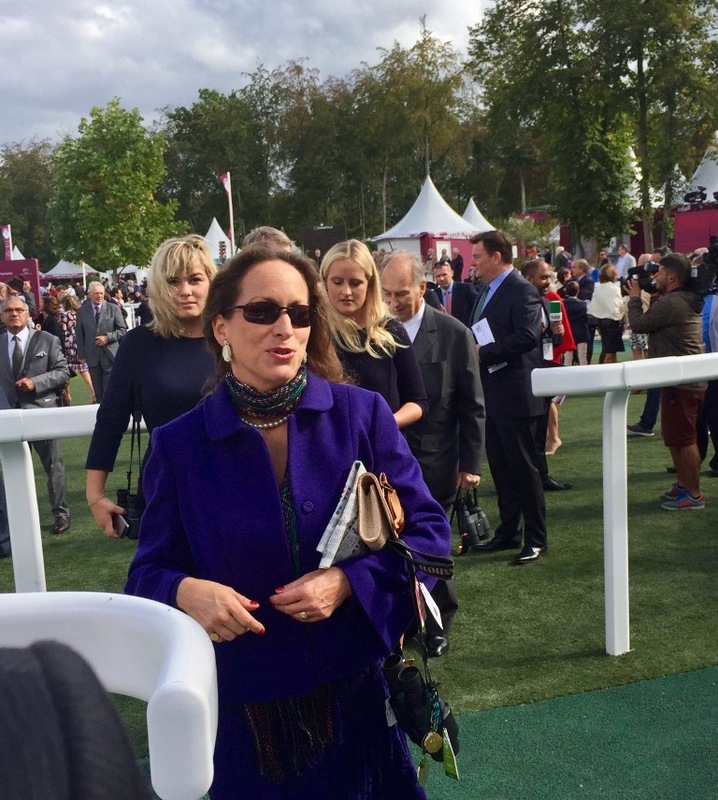 Her documentary reiterates the view first advanced by the former IRA informer Sean O’Callaghan that Shergar was shot because his kidnappers could not control a thoroughbred racehorse. O’Callaghan alleged that Shergar is buried on the land of an IRA veteran from the 1940s in Aughnasheelin, Co Leitrim. In the documentary, Mr Conway, the author of the book Southside Provisionals: From Freedom Fighter to the Four Courts, said he rejoined the IRA at the time of the hunger strikes in 1981. There had been a “massive influx of support”, he remembered, for the IRA at the time, but a shortage of cash. As a consequence, the IRA began a kidnapping strategy starting with businessman Ben Dunne in 1981. Mr Conway described the kidnapping of Shergar as a “good stroke” and one that made logical sense at the time. 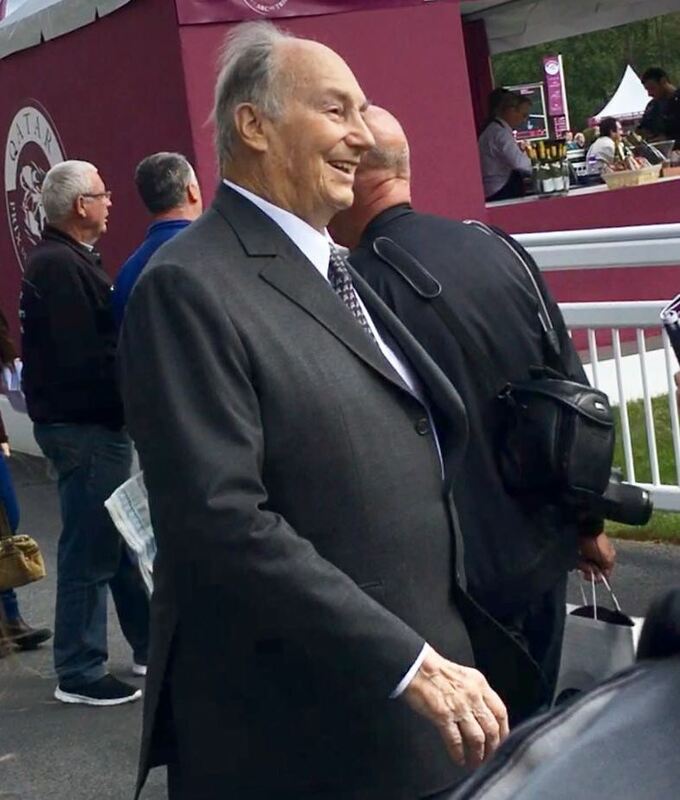 “He was an extremely valuable horse, the Aga Khan [Shergar’s owner] was known to be an extremely rich man. He would not be concerned about the political implications of giving the IRA money unlike perhaps a southern businessman. I had no difficulty with that operation at all,” he told the documentary. Jim Fitzgerald, the retired head groom at Ballymany Stud in Co Kildare, was kidnapped along with the racehorse on February 8rd, 1983. He told the programme that 35 years later he could remember what happened “like yesterday”. “We were in the sitting room and next thing a knock comes at the door and these gangsters came in with guns,” he said. They never told Mr Fitzgerald who they were or where they were going. He was taken away in a van. He said two of the three men who kidnapped him were “gangsters, not a bit nice”. He feared he would become another of the disappeared. They later let him out near Kilcock, about 40 kilometres from Ballymany Stud. Searching for Shergar will be broadcast on BBC 1 Northern Ireland at 9pm on Thursday June 7th. The mystery of Shergar’s kidnap has baffled and fascinated people for more than three decades. 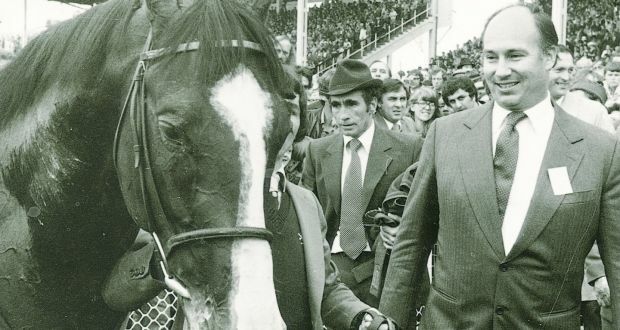 The Irish national hero – worth €33million in today’s money – was stolen from the Ballymany Stud in Co Kildare on February 8, 1983. Shergar was ridden by 19-year-old jockey Walter Swinburn when he won the 1981 Epsom Derby by a record-breaking 10 lengths. And he was so far out of sight at the post John Matthias on runner-up Glint of Gold thought he’d won “until I discovered there was another horse on the horizon”. The disappearance of the retired superstar racehorse, suspected to be the work of the IRA, will be explored in a new documentary Searching for Shergar on BBC One Northern Ireland tonight. No one knows for sure what happened to Shergar – no one has ever claimed responsibility, the body was never found and nobody has ever been charged. By far the most popular theory is the horse was taken for ransom by the IRA in the belief it was owned by the fabulously wealthy Aga Khan. But the thieves soon realised getting the ransom was going to be harder than they thought. The horse was retired from racing and had just embarked on a lucrative career at stud. Far from having one owner to blackmail, the thieves had to deal with the multiple owners of shares in the horse. The gang struck as head groom Jim Fitzgerald and his family were relaxing after dinner at their home. A gate leading to the Aga Khan stud farm was unguarded and unlocked when the gunmen arrived at 8.30pm on February 8, 1983. Staff assigned to look after Shergar – valued at £20million at the time – were not in his centrally-heated security stable. Two armed men forced their way into the house. At gunpoint they led Mr Fitzgerald’s wife and their five children into one room and locked the door. Then 58-year-old Mr Fitzgerald was ordered to point out Shergar’s box. Other members of the gang backed up a van. Shergar and Mr Fitzgerald were put inside. Shergar trainer Sir Michael Stoute pays tearful tribute to jockey Walter Swinburn - "The big days were what he lived for"
The groom, who was later released unharmed, was blindfolded and forced to lie on the floor as the gang drove away. As he was freed the kidnappers told him their chilling terms. 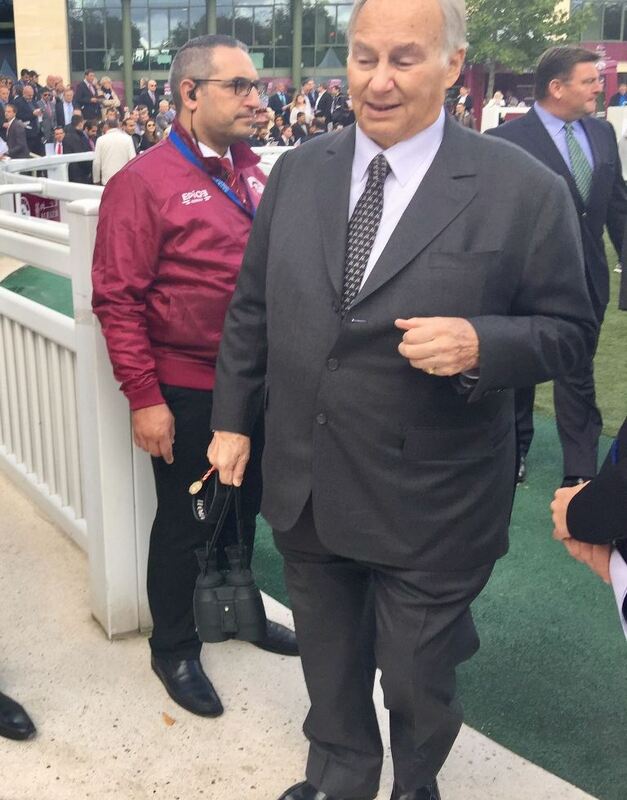 “We want IR£2million if you want the horse back in one piece,” they said. They warned Mr Fitzgerald not to tell gardai and said they would be in touch at noon the next day with more details. There were desperate attempts to come to an agreement with the kidnappers but negotiations broke down. Police checked on reports that a car and horsebox were seen heading towards the border at dawn but the trail ran cold. In 2008 an investigation by the Sunday Telegraph claimed that within four days of being kidnapped and held at a remote farm senior IRA chiefs ordered the horse be released. However, because of the media attention and massive police search for the horse, it was decided that would be impossible without incriminating the kidnappers – so the horse was shot. It’s rumoured Shergar is buried in a field in Co Leitrim. A source told the paper: “Shergar was machine-gunned to death. There was blood everywhere and the horse even slipped on his own blood. Searching for Shergar is on BBC One Northern Ireland tonight at 9pm. 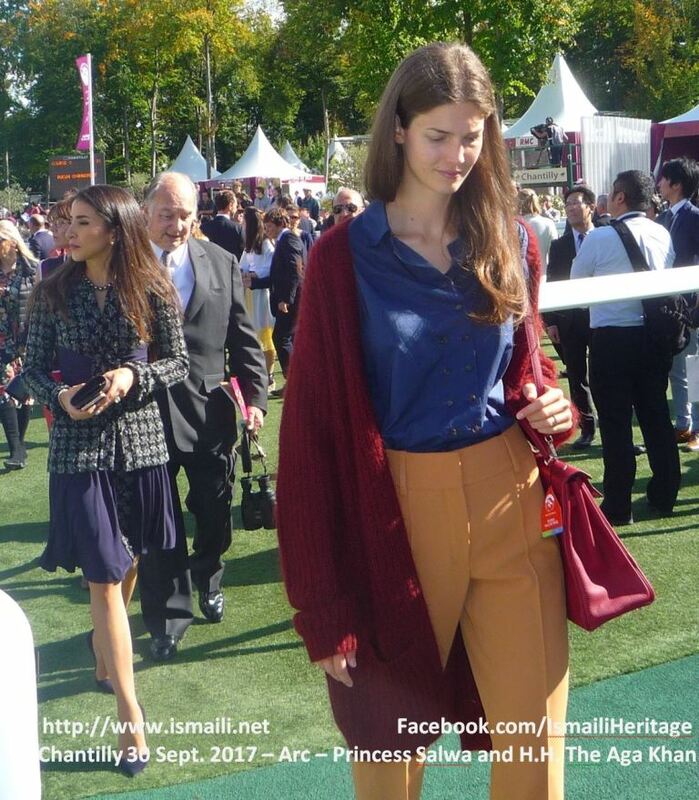 2018-06-17 in Paris at Chantilly, H.H. 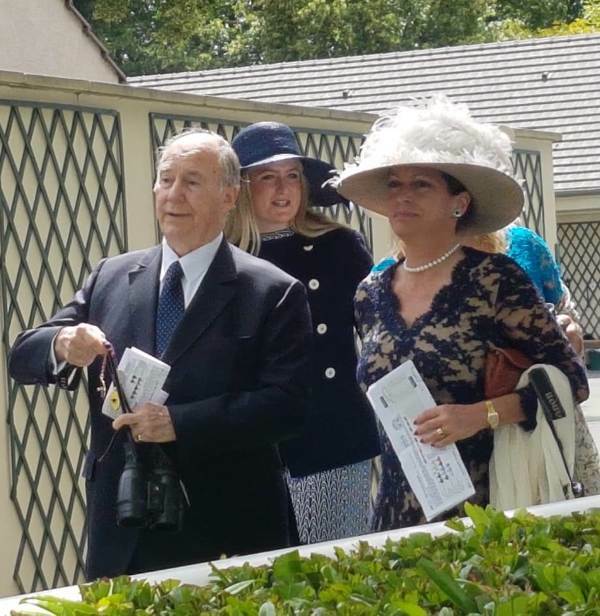 The Aga Khan , Princess Zahra and her daughter Sarah, attend classic horse race of the Prix de Diane Longines (French Oaks, G1). June 2018 - In honour of H.H. 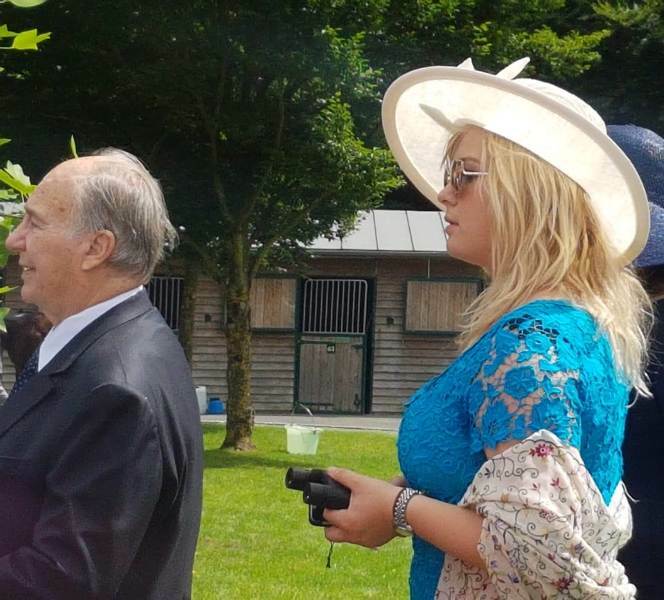 The Aga Khan's Diamond Jubilee, Her Majesty Queen Elizabeth has renamed one of the races at Royal Ascot, the "Diamond Jubilee Stakes"
The mighty daughter of SIYOUNI put up one of her most dazzling performances to win the Gr.1 Matron Stakes at Leopardstown today. The three-year-old filly was facing no easy task with four-time Group 1 winner Alpha Centauri as well as Group 1 winners Clemmie and Happily lining up in the race. After having taken a good start, her jockey Daniel Tudhope let the long striding filly lead in front and asked her to quicken early after the turn. LAURENS was never in danger and was a game winner ahead of Alpha Centauri and Clemmie. 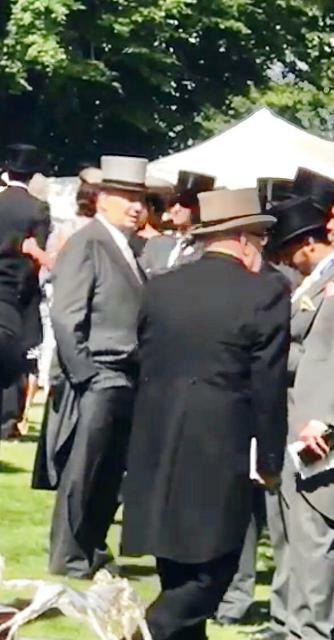 The Aga Khan had to wait another five years before getting started on the Epsom Derby winning trail - and then it was the stable outsider Blenheim (Harry Wragg), rather than the second favourite Rustom Pasha in 1930. 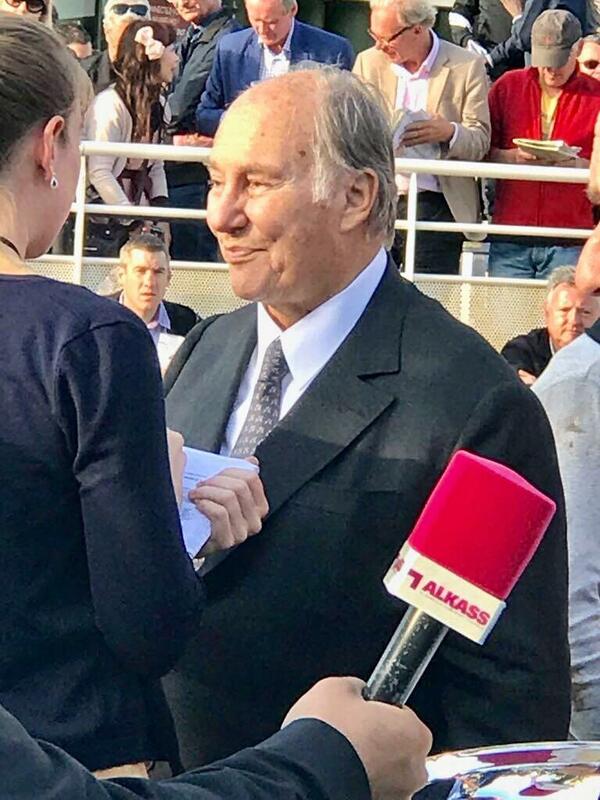 All elements of the Aga Khan Studs activity were in the limelight during a busy weekend highlighted by a fourth Group 1 success for SIYOUNI’s daughter LAURENS, and a fifth Group victory for EZIYRA. The blue-blooded ZARKAMIYA took an excellent third place in the Gr. 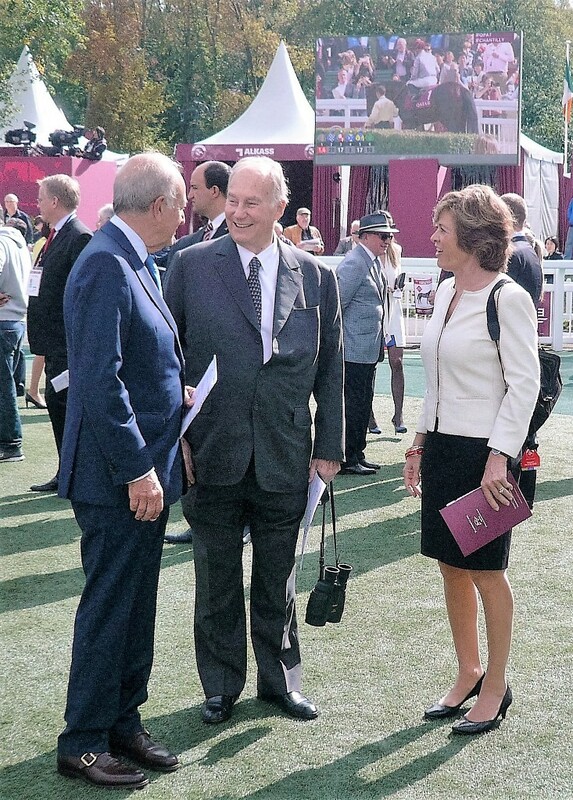 1 Prix Vermeille, while the progeny of Aga Khan Studs bred dams, FLAG OF HONOUR and TORNIBUSH, also shone at Group level.